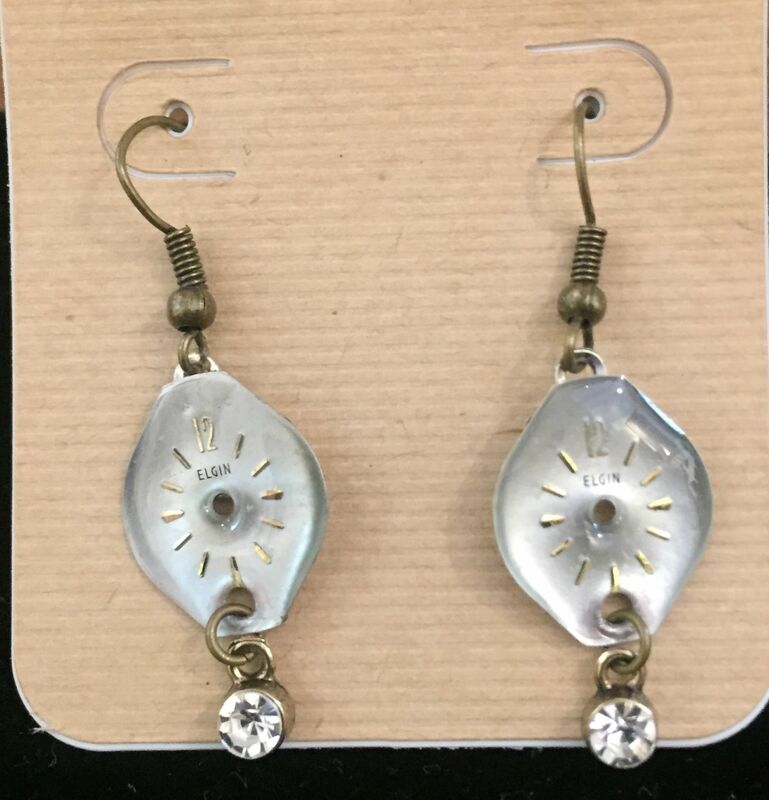 Earrings made with genuine Elgin watch faces and crystal charm. Earring hook is brass in color. Watch face measures approximately 3/4 inch high. Entire earring with charm measures approximately 1 1/4 inches long. Designed and created by Elgin artist, Mary Pierce of Soulful Sparrow.